I’ll be performing live in the studios of ORF Kunstradio, the long-running radio art program heard weekly on Ö1, the cultural channel of Austria’s national public radio. The live stream will connect from the home page here, and the show will be documented and streamable afterwards from the show page here. A radio receiver, designed for mass production and consumption, invites a small narrative reflecting some aspect of radio’s changing cultural reference over the past century: I am the future, I am mobile, I am young, I am a connection with the world, I am a safety precaution, I am cheap, I am common, I am invisible, I am obsolete. Likewise, the graphic design of each dial represents an ideology of the radio spectrum, proposing time in frequency, and space in territory. Some dials are linear, filled with the names of cities, while other dials are perfectly round, referencing radar and precisely regulated atomic time. Tuner is a suite of short pieces, performed live, which uses the graphical design of radio dials as music and event scores. Radios have been used as instruments and played in works such as George Brecht’s “Candle Piece for Radios” (1959), and offer a strong element of indeterminacy to brief performative moments. 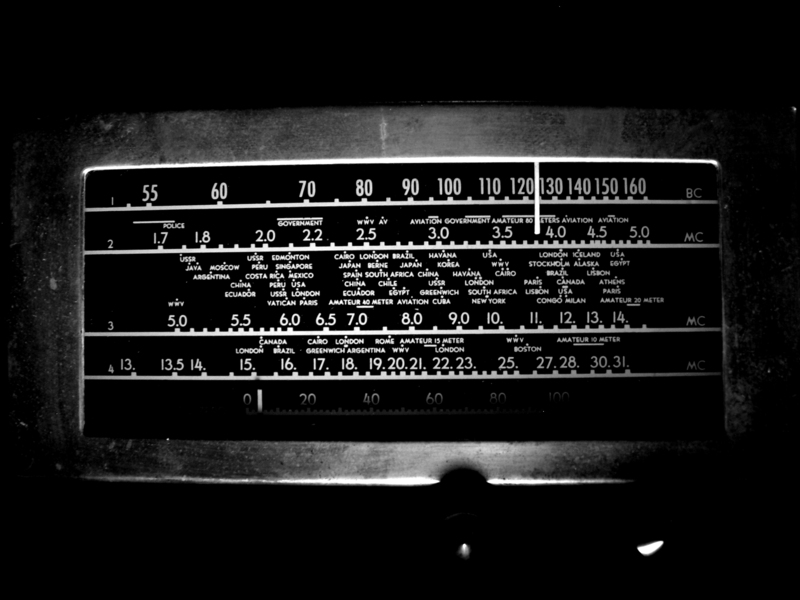 What will a radio reveal when used to generate the score itself? Acting as frame and theme for this round of Tuner pieces is a sample from WWV, a station devoted to broadcasting time signals since 1923, and Coordinated Universal Time (Greenwich Mean) since 1967. Based in Fort Collins Colorado, near the laboratories that maintain the U.S. national standards of time and frequencies, WWV currently broadcasts time according to a cesium atomic clock, or time as dictated by the regular decay of the isotope cesium-133. 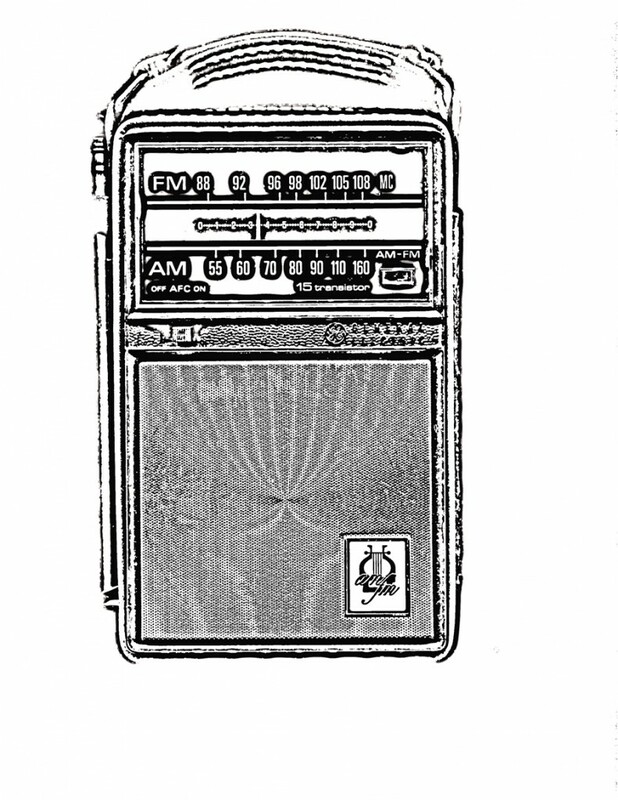 This time around I have chosen to interpret the dials or tuner plates of one vacuum tube radio (1953) and two transistor radios (mid 1960s) as scores. 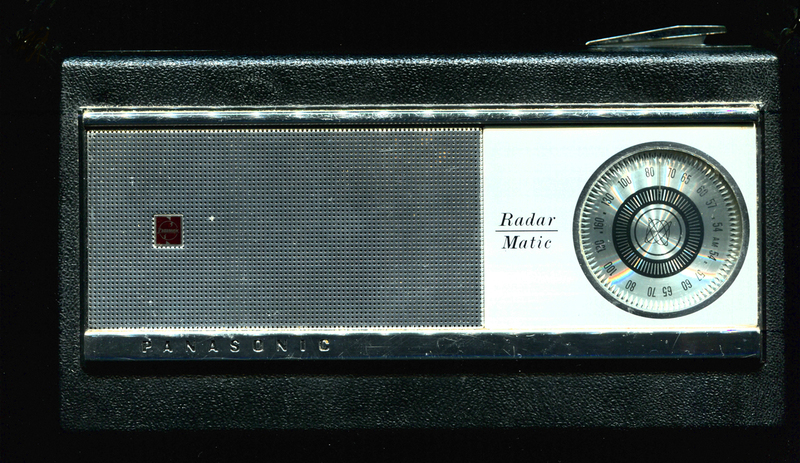 Not accidentally, these radios are products of the post-war economy, whose design promises precision, safety, and a little technical sophistication for the domestic sphere. The pieces I will perform based on these dials are improvised studies contributing to a larger body of work on radio and timekeeping, so for this set of works I read and interpret the radio dials as referring to frequency, or, the rate of something happening. But even against the precision of atomic time, events wander away from regularity, and musicality is hiding both in the accompanying tones and in the landscape of static which threaten to consume all sonic details at any time. How to read the radio dial? Someone is counting, someone is keeping score: something happens, and then something happens. I won’t be using the beautiful Hallicrafters radio dial (shown above) in this set of pieces–but it’s my next project in the series. 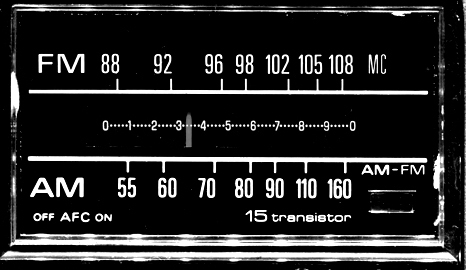 I love the shortwave radios with the names of cities and countries; I especially love the incongruence of “USSR” and “Edmonton” placed cheek to cheek on the dial. That dial is a symphony of craziness to decode, though, and I’m maybe not up for doing that one live yet. I’ve opted instead for simpler numeric dials for the first time out, but chosen ones which are still demonstrative of Cold War/atomic era wireless architecture. This work supported by a post-doctoral fellowship from Fonds de recherche sur la société et la culture Québec.